The University of Calicut is situated in Thenjipalam, in the sate of Kerala. The University is a very renowned one and has several centers in the nearby districts. The present Vice Chancellor of the University is Anvar Jahan Zuberi. There are more than 250 colleges affiliated to the University of Calicut. All the subjects under the course carry internal 50 marks. 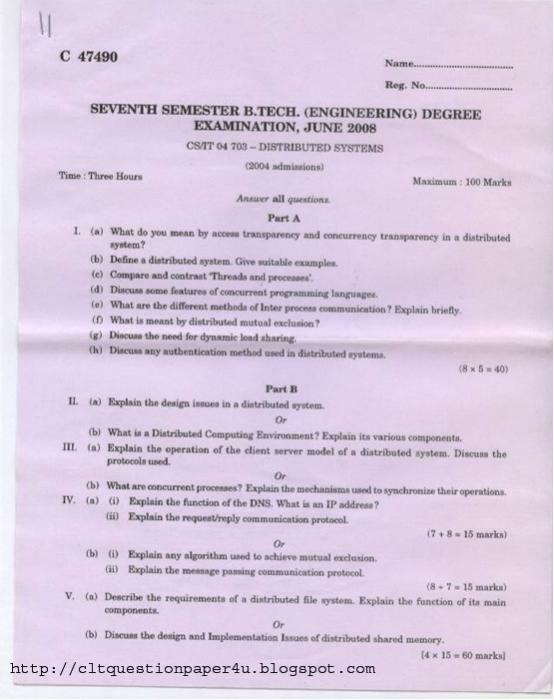 There are written exam carrying 100 marks each. The practical subjects also carry 100 marks. In the seventh semester there is a project and a seminar. There is also an elective subject. 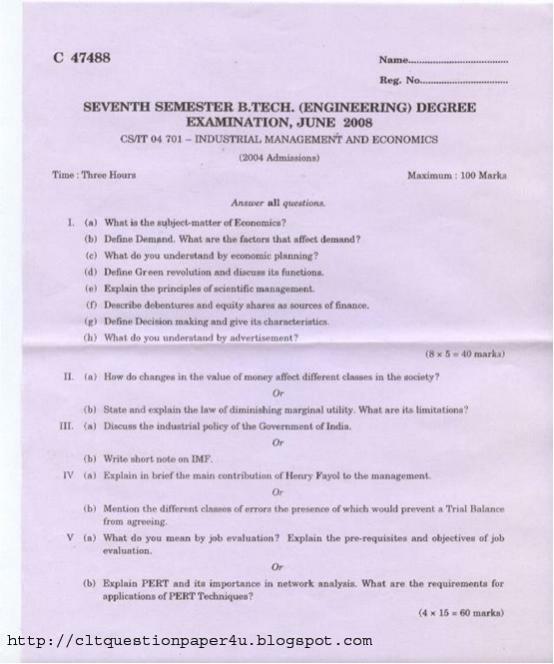 The total of he internals is 400 and the written exams have a total of 600 marks. The project and seminar are assessed only the basis of internal assessment. There is no written university examination for them. 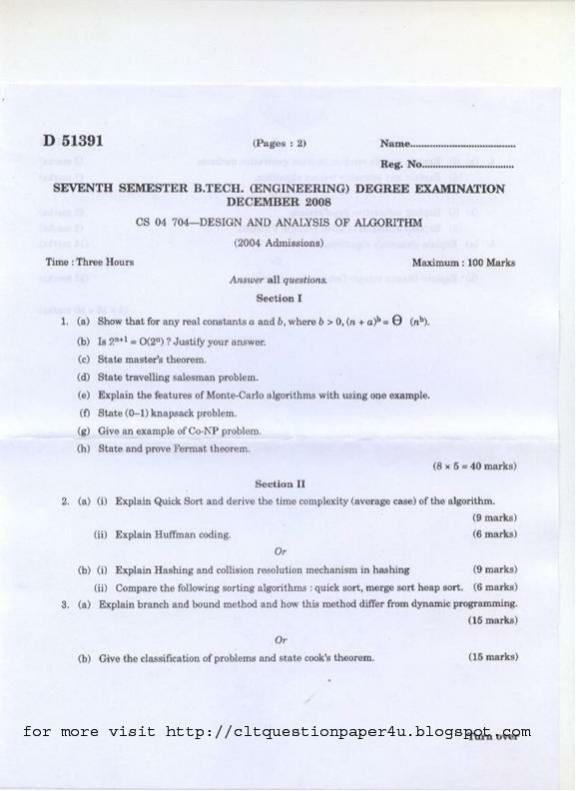 The written exam is divided in 5 parts. 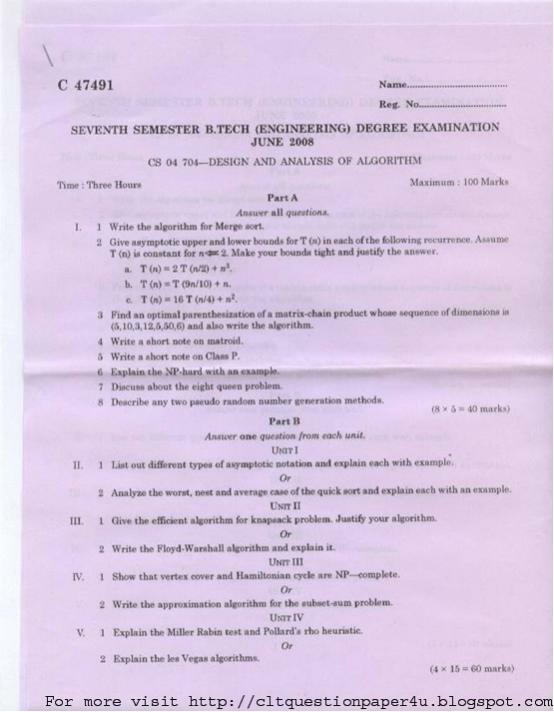 The first part contains 8 short questions. each question is of 5 marks. Second part contains 2 questions of which one is to be answered. The question carries 15 marks. The other three parts also have questions set on similar pattern, but the questions are from different modules. 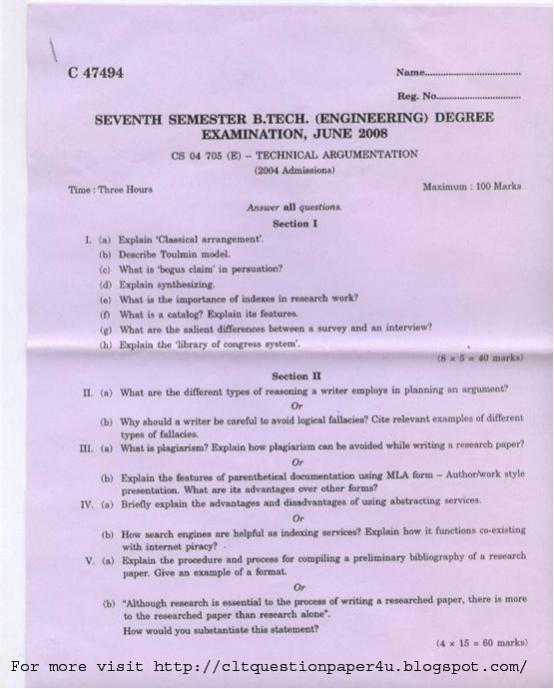 Previous year Question Papers for 7th semester of B.Tech in ECE of Calicut University? 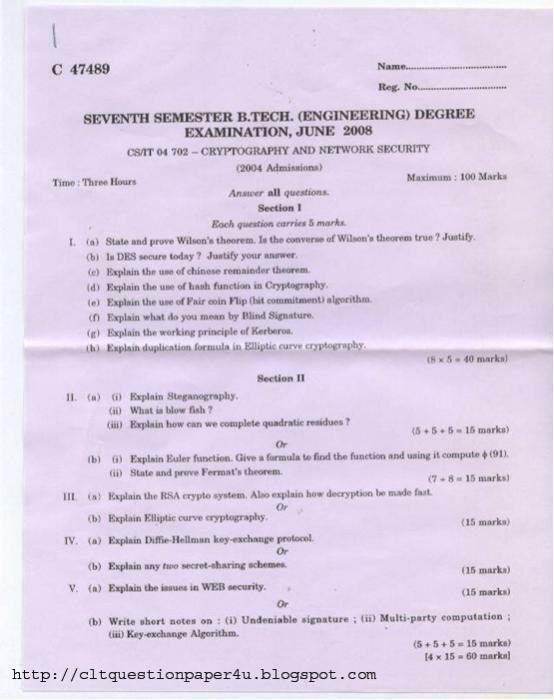 Calicut university combined 1 and 2 semester B.Tech question papers?